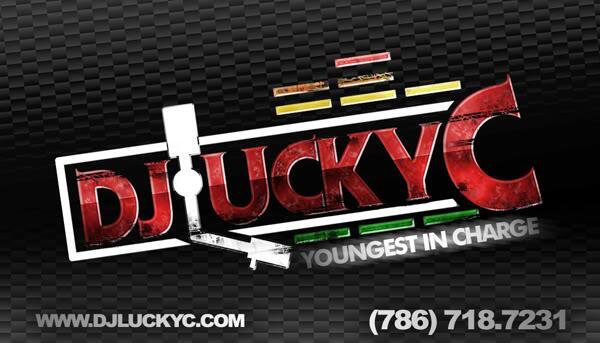 DJ Lucky C. The Youngest in Charge: RIP Christopher George Latore Wallace aka The Notorious B.I.G. RIP Christopher George Latore Wallace aka The Notorious B.I.G. Sky's Da Limit. . ."
Celebratin' Every Day, No More Public Housin'"
Selling Drugs to all the Losers; Mad Buddha Abuser. 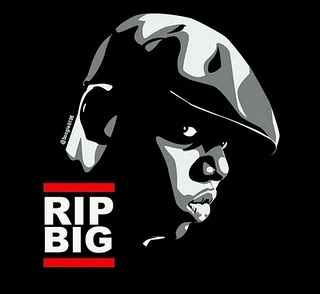 But They Don't Know about the Stress-Filled Day, Baby on the Way, Mad Bills to Pay"
Today (March 9th, 2011) Marks The 14 Year Anniversary of the Death of the Notorious B.I.G. Although This May Be a Sad Day for the Millions of Biggie Fans Across the Globe, I Say We Celebrate His Life and Cherish the Legacy He Left. Biggie Left a Mark on HipHop That Cant Be Undone By Any Man. In His Short Career, Biggie Touched a Number of People With His Amazing Story Telling Abilities and Undeniable Talent. Alot of Other Sites Are Going to Chronicle the Life of Biggie and Thats Not My Aim. My Aim is to Honor My Favorite Rapper By Sharing a Few of My Favorite Videos. These Are Just a Few of My Favs. .
What's Ya Favorite Biggie Song,Verse or Punchline?